We value old fashioned standards for quality and service. Originally, the Swirl-Cooler units from Hayden were very reliable and well suited for the automatic transmission cooling at the time. However, they also became popular for hydraulic oil cooling applications an industry expansion which also began an extension of Ventura’s product range, such as truck fans, cooling towers and other industrial applications. A natural development for Ventura was the design of its own range of air blast fan-oil-to-air units for the hydraulics industry. These units are also used as lubricant coolers, in large paper mills, steel mills, Portland cement plants and similar industries. 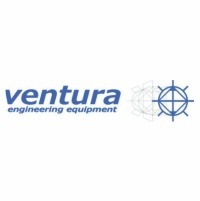 Ventura specializes in the design of complete cooling systems, or cooling packs – for industrial and military applications, which include water radiators, transmission oil coolers, charge air coolers, hydraulic coolers, compressor coolers and fuel coolers.